Our new and improved Norwex Microfiber is now better than ever! It’s now 14% thicker and more absorbent to pick up and hold more dust, dirt and debris! Our flagship EnviroCloth® is made with fiber that has a maximum length of more than 10 million feet or over 3 million meters for more effective cleaning power! That’s long enough to stretch from Minnesota to Riviera Maya, Mexico! What is Norwex BacLock™ Microfiber (formerly Antibac)? What are the proper washing and care instructions for Norwex Microfiber? Where can I use Norwex Microfiber? 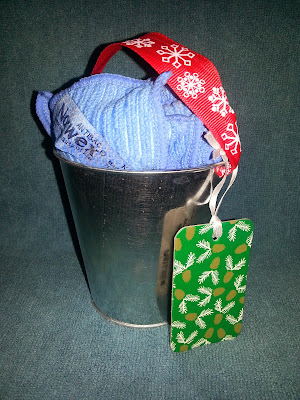 Why do Microfiber cloths sometimes smell? Microfiber cloths may smell if the proper care instructions are not followed or if the water in your home or office is hard and high in mineral content. 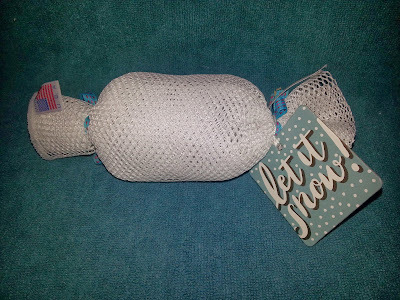 Only use environmentally friendly soaps without fillers when you are laundering to prevent the microfiber pores from being clogged and causing odor. If your cloths smell we recommend trying one of the following suggestions: washing them in hot water, soaking overnight in Norwex Ultra POWER Plus laundry detergent and washing in hot water, or boiling for 10 minutes to remove any build-up on the fibers. How often should we wash linens? How often do you wash your linens? The researchers suggest changing bathroom washcloths and towels at least every other day. Kitchen washcloths and towels should be washed daily, but bed linens - due to the drier environment - can be laundered weekly. Will you be seeing family and friends over the Thanksgiving holiday weekend? 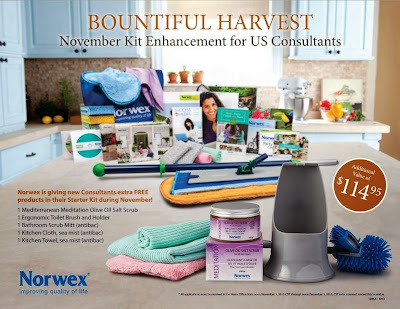 Would you like to share with your loved ones how easy it is to clean with Norwex? 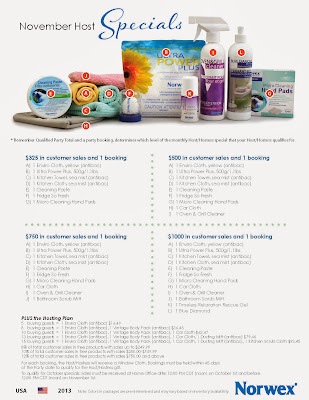 We all want what is best for our families, and Norwex helps you reduce your exposure to toxic chemicals in your home, cleaning products, and personal care products. Plus 12% of total sales - at least $120.00! With additional opportunity to earn an additional Dusting Mitt ($16.99) and a Kitchen Scrub Cloth ($13.99)! That's a total of at least $420+ in FREE products to share! 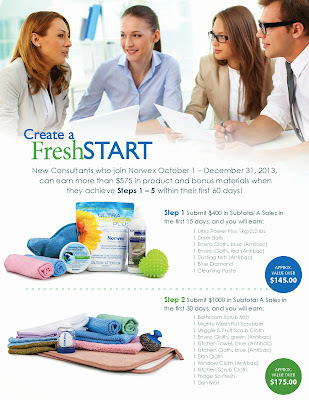 With a $100 order, you'd earn another $42 minimum in free products - that's almost 50% free! Here's what you need to do. Email me blange17@gmail.com and let me know you want to participate. 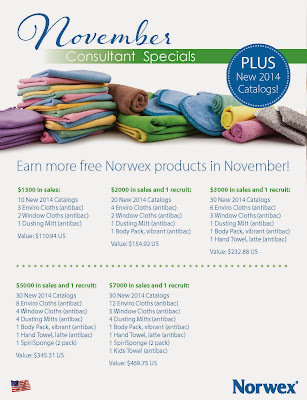 I'll provide you with all the information you'll need to share Norwex with your friends and family. Orders can be placed online and shipped direct to the customer, or shipped to me if you're local for a flat $5.95 shipping rate. I need your commitment ASAP! If more than 10 people are interested, we'll make it work. If fewer than 10 people are interested, we'll still make it work. Plus, I've been putting together some adorable gift packaging for local customers - look here to see some of my ideas http://www.fastgreenclean.com/2013/11/holiday-gift-ideas.html - I can completely customize (at no charge!) for your needs! Here are the answers to some of your top cleaning questions! You'll notice that pretty much every problem, the first solution is simply the Enviro Cloth and/or Window Cloth, with just water. These two items make up our Basic Package and are part of the Household Package, which also includes the Dusting Mitt. If you're ever not sure where to start with cleaning, this is your go-to answer. With the Household Package, you can clean the majority of your home, with just water! How do I clean my stainless steel appliances? First, try lightly misting the surface with water in the Spray Bottle, then wipe with the Window Cloth or the Enviro Towel. Be sure to use only a light mist of water, and wipe the stainless steel in the same direction as the grain. For heavily-soiled fridges, first clean with a moist Enviro Cloth, then finish with the Window Cloth in the same direction as the grain. Cleaning Paste can be used (test in an inconspicuous area first!) in conjunction with the Enviro Cloth, then follow with the Window Cloth or Enviro Towel. Cleaning Paste with a Spirisponge is also great for stainless steel sinks! If you have been using other cleaners on your appliances, including stainless steel cleaners marketed for this purpose, it may take several uses of the Norwex products to remove all the buildup left behind from the commercial cleaners. Keep at it! Norwex is incredible and will eventually remove all of the leftover product, and then it is easy-peasy to keep your stainless steel appliances sparkling like new! How do I clean my flat top stove? First, try using a damp Enviro Cloth (warm-hot water seems to work best). If that isn't enough to remove the baked on residue, the Cleaning Paste with the Enviro Cloth or with a Spirisponge should do the trick, follow by a clean wipe-down with the Enviro Cloth. For extra tough stains, you may want to try the Oven and Grill Cleaner with the Spirisponge. Sometimes, unfortunately, the stains are below the surface of the glass top, and therefore no amount of cleaning the surface will remove them. 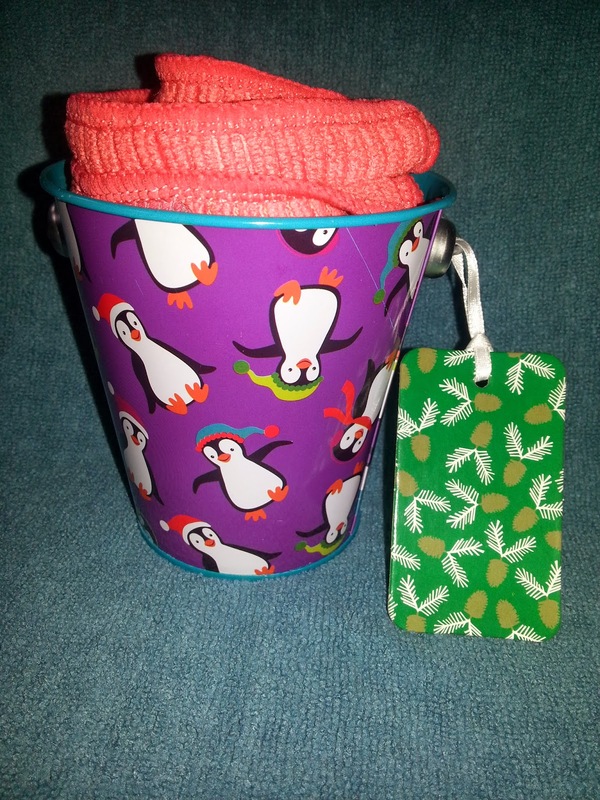 Start with a wet Enviro Cloth or Kitchen Cloth, and follow with the Enviro Towel or Window Cloth. This will make your granite counters shine like new! How do I clean tile grout? The Cleaning Paste works wonderfully on grout! Use it with an old toothbrush, Spirisponge, Enviro Cloth, Kitchen Scrub Cloth, or Bathroom Scrub Mitt. Other options include using the Descaler (only on sealed grout/tile) or a diluted mix of Ultra Power Plus with water (1/2 tsp of UPP in 16oz of water), in conjunction with one of the products mentioned above. How do I clean water stains, calcium, lime, or rust from bathroom tubs and sinks? If the Enviro Cloth and water doesn't remove the stains, try the Norwex Descaler. It is made to remove soap scum, lime/scale, calcium, and rust stains from shower doors, shower curtains, shower stalls, bathtubs, etc. If used regularly lime build-up and mineral stains can be avoided. To use, simply spray the Descaler on the surface, and let it work for 5-10 minutes. Then, wash it off with a moist microfiber cloth before the surface dries. For heavier stains, you might need to repeat the process. 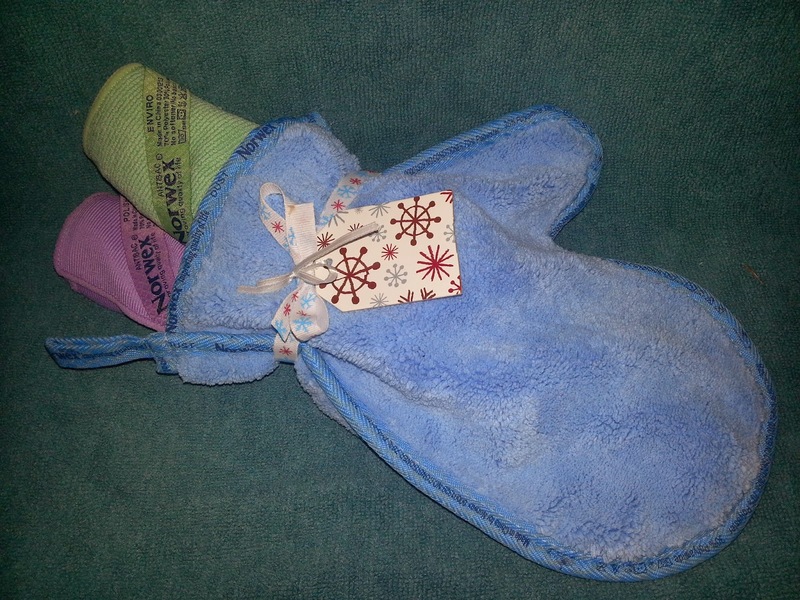 Descaler can be used with the Norwex Enviro Cloth, Norwex Bathroom Scrub Mitt, Norwex Kitchen Scrub Cloth, or Norwex Spirisponge. How do I clean marble? Marble showers and counters are easy to clean with the Enviro Cloth and water. Marble floors are easy to keep clean with the Norwex Floor Systems! The Dry Superior Pad and Wet Mop Pad (just damp with water) are quick, easy, and extremely effective! How do I clean grease stains off cabinets or walls? The Enviro Cloth and water should do the trick. You can also use the All Purpose Kitchen Cloth, which has a waffle weave fabric and is marketed especially for grease. How do I clean stains on my carpet or furniture? The go-to answer is always the Enviro Cloth and water. For moist stains, place a dry Enviro Cloth over the stain and press firmly to remove as much of the liquid as possible. Then, spray some water onto the stain. Place a folded Enviro Cloth over the stain and press firmly, then check to see that the stain is transferring from the carpet to the cloth. For spot removal on carpeting, use ¼ c. (60 ml) of Carpet Stain Buster with 4 c. (1 litre) of water in a spray bottle. Rub and blot with an Enviro Cloth. It is recommended to test in an inconspicuous area prior to using full strength. For shampooing the carpet, combine 10 oz. (320 ml) of Carpet Stain Buster with 1 gallon (4 liters) water. After the stain is removed, spray with water and dry with another Enviro Cloth. If the stain is deep in the carpet, repeat the process. How do I clean inside of my fridge? An Enviro Cloth and water should do the trick. If you have hardened spills inside on shelves or inside drawers, try the Kitchen Scrub Cloth or even the Spirisponge to loosen and remove the spills, then follow with the Enviro Cloth and water. How do I clean my windows or mirrors? Simply wipe down to remove any dirt and grime with a damp Enviro Cloth and follow with a Window Cloth for the streak-free finish. For hard to reach windows and mirrors, consider using the Norwex Telescopic Mop Handle and Large Mop Base to attach the Enviro Cloth or Window Cloth using the Mop Brackets. The telescopic handle adjusts to reach those windows that are out of reach, and the mop base locks to allow you ease and comfort of use. How do I clean my range hood? To clean the range hood, remove filters and soak them in hot water and Norwex Dishwashing Liquid. Brush them lightly and carefully with a Norwex Mighty Mesh Pot Scrubber to remove greasy particles. Rinse and dry thoroughly before replacing. Wipe the outside of the hood with hot water and an Enviro Cloth. If the range hood is stainless steel or a smooth surface, polish with the dry Norwex Window Cloth or Enviro Towel. Oh, check it out! 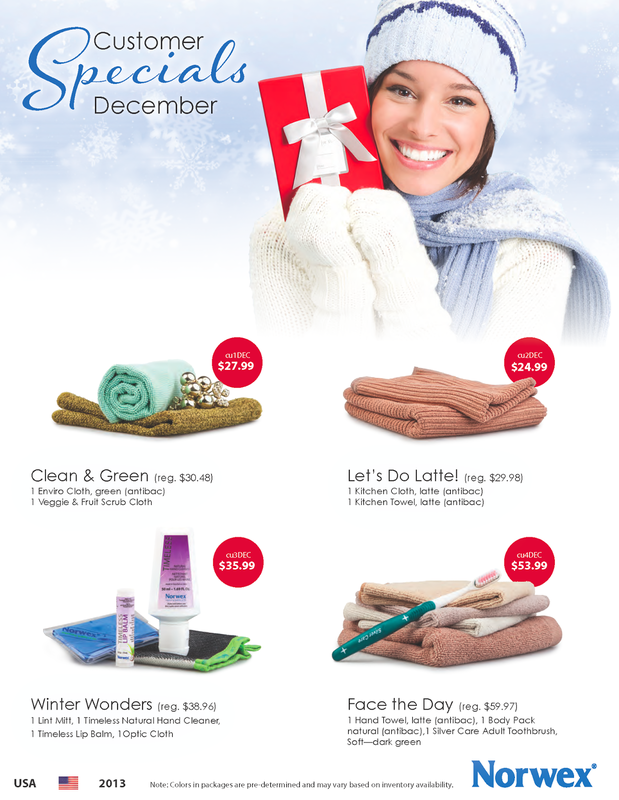 These amazing Norwex specials are only good during the month of December! Contact me today to take advantage of these deals. I have a special offer if you order or book with me during December. If you want to hold an in-home Creating a Cleaner Home demo in the Triad area of NC, or an online Creating a Cleaner Home class from anywhere in the US, just let me know! Email me blange17@gmail.com to secure your date or fill out the contact form here http://www.norwex.biz/pws/rebeccalange/tabs/contact.aspx and I'll be in touch ASAP. 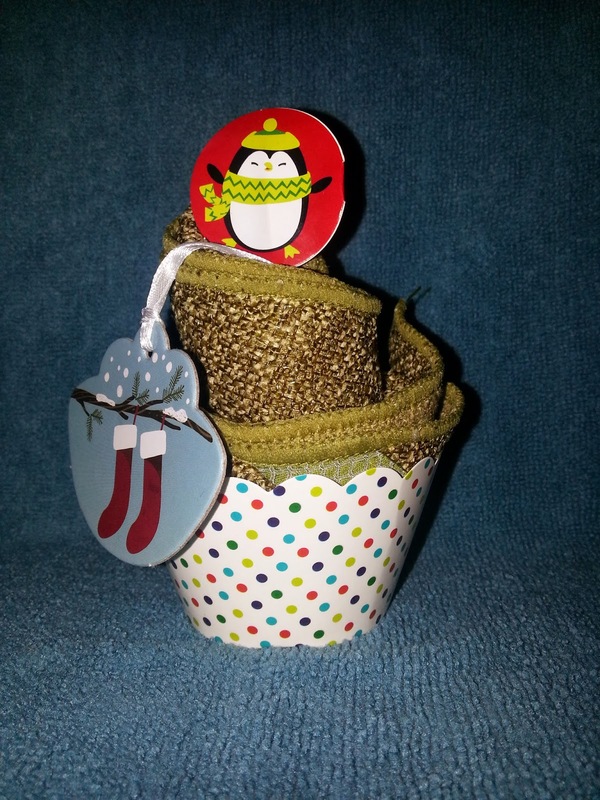 To qualify for December specials: Sales must be received at Home Office after 12:00 PM CST (noon) on December 1st and before 12:00 PM CST (noon) on January 1st. November New Consultant Joining Bonus! Norwex has been an incredible adventure and income source for me. I've always shied away from direct sales or home party plans because I am not pushy. 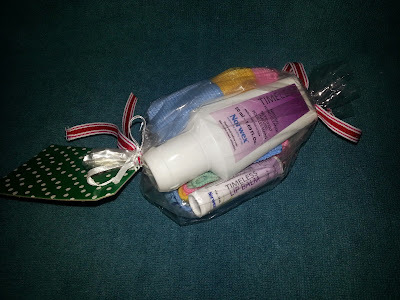 Norwex is different though - I love the products, I use them myself, and I truly stand behind the Norwex mission "to improve quality of life by radically reducing the use of chemicals in personal care and cleaning." 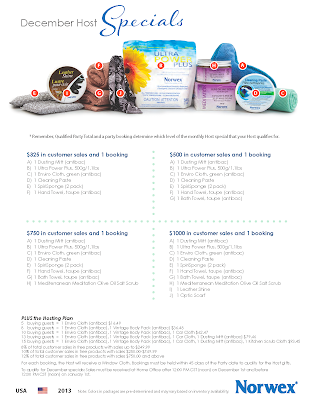 I've been working towards eliminating chemicals in my home for years, and Norwex has made it that much easier for me to do it for myself, and help others along the same journey in the process. Since I joined Norwex, I've grown as a person, I've allowed myself some financial flexibility with the added income, and I've helped dozens of people reduce the chemicals in their home. I've also built a team and promoted to Team Coordinator, which helped me realize that Norwex really IS something phenomenal. Every person whose life I touch with Norwex, I am making a difference! PLUS! 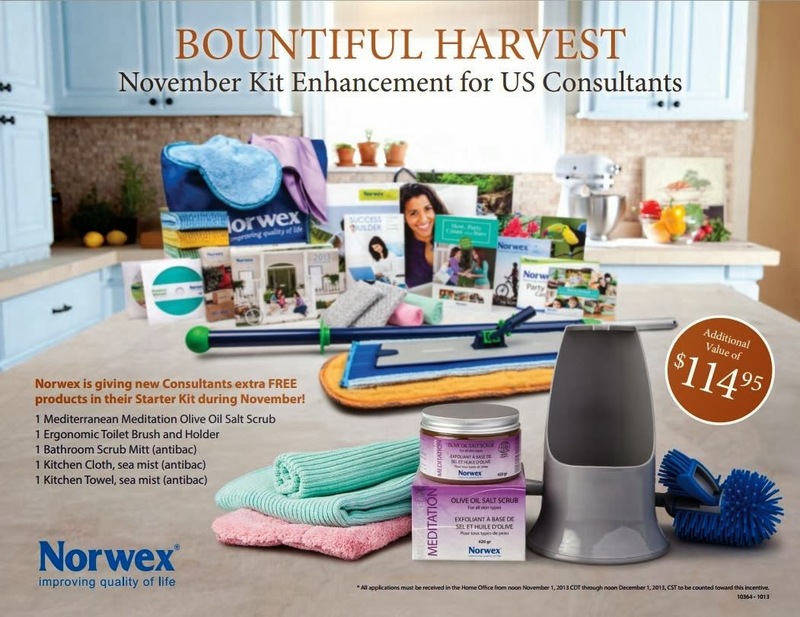 Each month Norwex offers Consultant specials for meeting certain thresholds. For example, in November, consultants who sell $1500 in Subtotal A will earn $110+ in FREE product and business supplies, and it goes up from there! 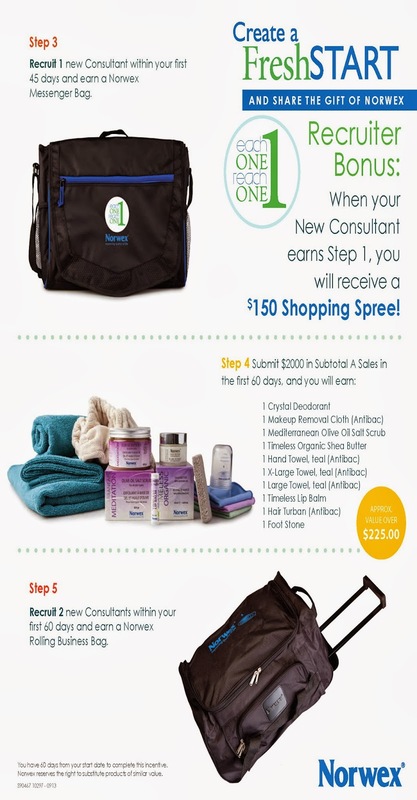 The higher your Subtotal A, the more FREE product and supplies you earn! See the flyer below for November offers! Shopping for gifts can often be overwhelming. 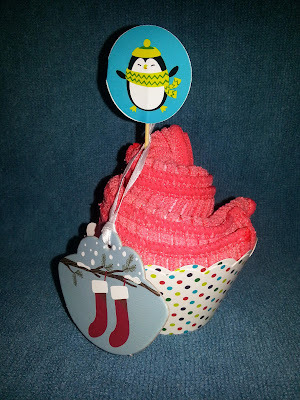 I put this list together with holiday gift giving in mind, but it can be used at any time! 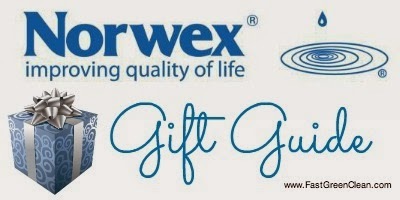 Look through the Norwex Gift Giving Guide, sorted by price, below. If you've been following my blog, you know that using Norwex products will save you time and money, all while reducing your exposure to chemicals. The average household spends approximately $960/year on household cleaning supplies, laundry, and personal care items. 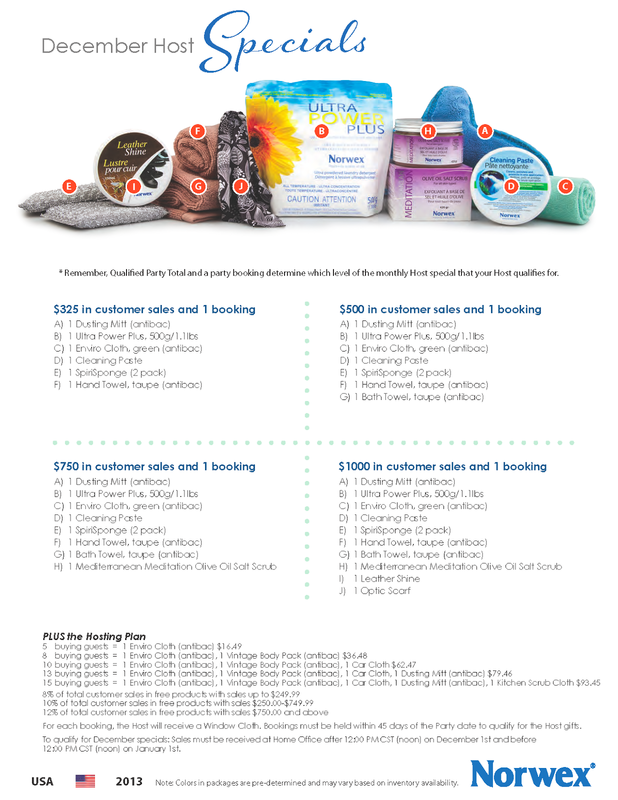 Investing in Norwex products will save you a significant and considerable amount of money, especially given that our products come with a warranty and guarantee! (Source: Bureau of Economic Analysis, Department of Agriculture, Department of State, Centers for Disease Control, Bureau of Transportation Statistics). 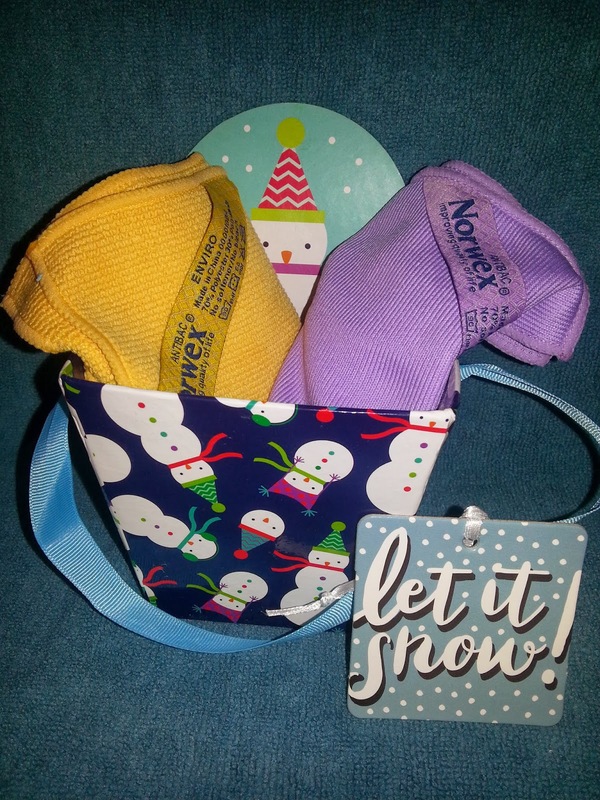 Sometimes, however, you need something extra - here are some ideas for the people in your life, in addition to the Household Package (Enviro Cloth + Window Cloth + Dusting Mitt) $48.99 which is the staple of a Norwex home! Norwex Floor System, so the chemicals from traditional cleaners won't soak into your pet's paws! 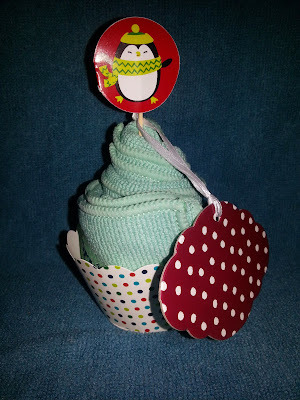 Washing Net, for extra care of baby's laundry - and so you don't lose any little socks! Travel Pack of Enviro Cloths for wiping down restaurant tables, shopping carts, high chairs, etc. Travel Pack of Enviro Cloths for wiping down restaurant tables, shopping carts, booster seats, etc. Enviro Cloth, to use in place of disinfecting wipes to clean desks, pencil sharpeners, doorknobs, sinks, white boards, computer keyboards, tables, and even remove left over adhesive from stickers. Anything that students' hands come in contact with, the Enviro Cloth can clean and sanitize with just water. Window Cloth, for windows, projectors, and anything else that shines for a streak-free finish every time. Bath Towels, for guests too! 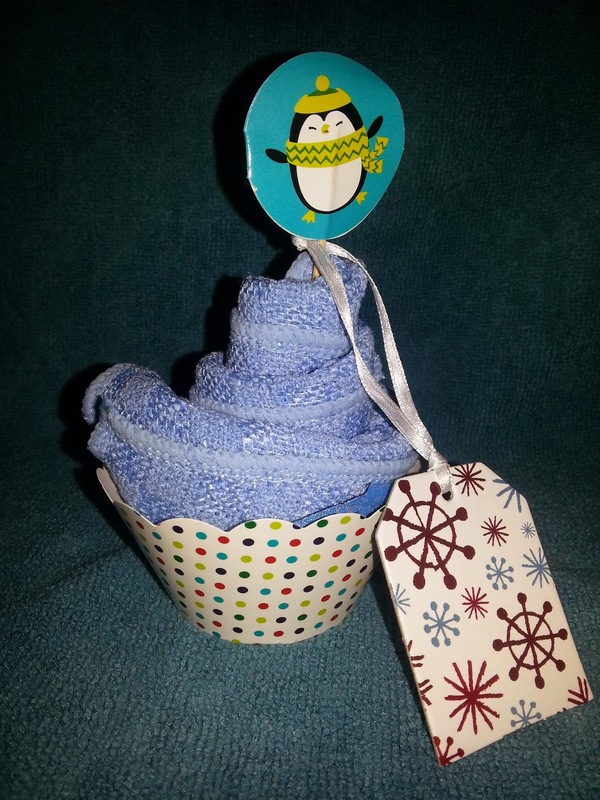 Bath Towels, lasts longer between washings! Enviro Cloth, to use in place of disinfecting wipes to clean everything in the dorm room with just water. Fridge So Fresh, for the dorm odors. They're proteins produced by all living organisms that act as catalysts to speed up chemical reactions that would otherwise occur at a much slower rate or not at all. Enzymes act as catalysts - They take part in and accelerate a chemical reaction, without being consumed themselves in the process. Once the reaction has gone to completion, the enzyme involved is set free, ready to be used again. In theory, this could go on for ever, but in practice an enzyme has a limited lifetime, and it is therefore necessary to provide a fresh supply. Different enzymes digests different materials. They also have different tolerances towards heat/cold, pH and the presence of oxygen. Enzymes breakdown large particles into smaller pieces. 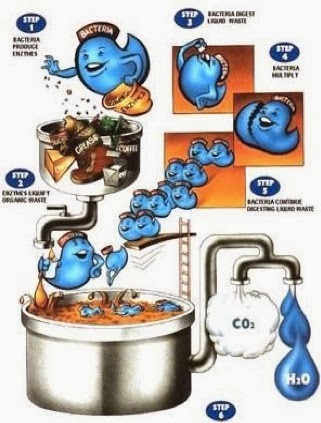 The smaller molecules are digested to carbon dioxide and water. Enzymes are unique because they do not lose their functionality after having digested one particle but continue to work on the next one. This means that one enzyme protein molecule can act on many substrate molecules. Eventually, all the substrate is gone and the enzyme stops working. Also, the enzyme will eventually break down on its own. The use of enzymes in cleaning products requires the correct organisms for the job. A knowledge of precisely which enzyme is needed to break down any particular material is what is key. Many great products can be created once the cleaning job is determined. Enzyme molecules are far too complex to synthesize by purely chemical means. The only way to make them is to use living organisms. The problem is that enzymes produced by micro-organisms in the wild are often expressed in tiny amounts and mixed up with many other enzymes and proteins. These micro-organisms can also be very difficult to cultivate under industrial conditions, and they may create undesirable by-products. So, it is best to produce enzymes for each product as needed. Enzymes are created using dried or frozen micro-organisms. These produces large amounts of the enzymes when cultivated. The organisms are cultivated with nutrients and agar and incubated at the optimal temperature for the organisms to grow. In a large tank containing previously sterilized raw materials and water the organisms reproduce and adapt to the environment and nutrients that they will encounter later on. LATER they are transferred to a larger tank where temperature, pH and dissolved oxygen are carefully controlled and additional nutrients are added to optimize enzyme production. Microorganisms occur in all biological systems. They stem from natural sources, and when broken down simply return to nature without posing a threat to the environment. All Norwex products are based on natural born microorganisms/enzymes (found everywhere in nature) and consequently harmless to human beings, animals and nature. 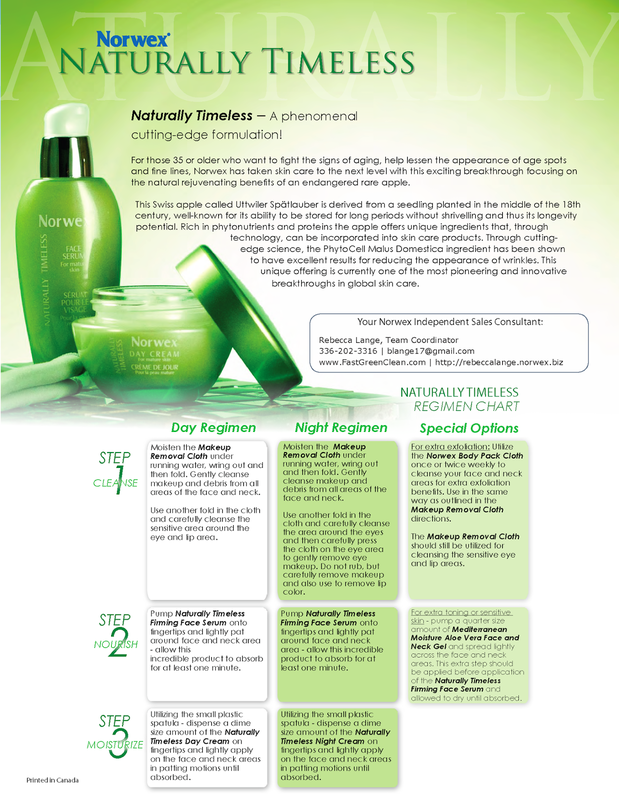 Enzymes products are safer - Enzymes come from biological systems, and when finished they are readily absorbed back into ‪‎nature‬ – biodegradable and ‪#non‬-toxic. Likewise, the targets of the enzymatic conversion are non-toxic and readily broken down to their basic‬ elements. Compared with chemical ‪‎cleaning‬, enzymes are more specific, more efficient, and work under milder conditions. Most enzymes function at normal room temperatures with a neutral ph factor, similar to ‪water‬. By working in neutral conditions, they save energy, provide safer cleaning conditions, and are ‪easier‬ to use.